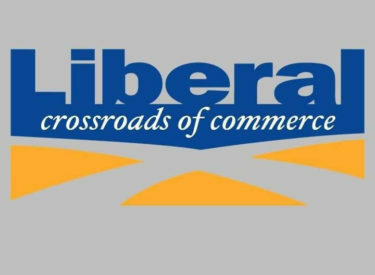 The Liberal City Commission met Tuesday evening and approved regulations for Food Truck Vendors in the City of Liberal. All existing Vendors will be made aware of the new regulations and will be expected to come into compliance. Fees were also set for the vendors at $50 for a 30 day permit, $150 for 6 months, and $300 for a year. The UTV/Micro Utility Vehicle Ordinance, which would have allowed them on City streets did not pass as it died for the lack of a second. The fireworks ordinance did pass, which allows fireworks in the City from July 1st-July 4th with a rain day of July 5th. Also allowed will be the sale of fireworks in the City with vendors paying a $2500 fee. The final plat of the Anderson addition was approved, as was the appointment of Catherine Owens to the Liberal Housing Authority Board. The Commission approved applying for a Land .and Water Conservation Grant, for improvements around the National Beef Sports Complex. If awarded, the City’s match would be$246,000 if they were to choose to accept the grant. Approved for Adventure Bay Water park, was a new Audio system from Tek Style for $4214.99, 32 lounge chairs in the amount of $5685, repairs and improvements to the soft play equipment in the amount of $11,250, and the purchase of sea turtles to replace the Lily pads at a cost of $9150. The replacement of insulation for the Mid America Air Museum to help stop the condensation leaks was approved with the amount not to exceed $10,975. The equipment and and companies were approved by the Commission to now accept online and credit card payments in the Utility Billing, Accounts Receivable, Municipal Court and other departments within the City. The Commissioners also approved a request to temporarily block off 810 Stadium Road for National Beefs Annual Picnic. Discussion was held on Pit Bulls with an Ordinance to be brought before the Commission in time for their next meeting.